Since when are muffins political?! Since Jeanette became a snowflake cup. Pig's Laundry, CensoredAlso, Froggy Fool and 2 others like this. *Throws a muddy Muffin @Pig's Laundry* is this to political some old fashioned mud slinging? I can't vote for any of these. I'm strictly going third party, or I'm not going at all. Heralde as President would herald a new age in American history, which would be heralded for future generations to herald as well. Honestly I’m just gonna be disappointed if she doesn’t run at least once in her life. Ive been thinking lately I think Sherrod Brown is the most worthy candiate. I think if he has Kamala Harris as his running mate, he will definitely take down president trump. Elizabeth "Pocahontas" Warren is officially running for 2020. Y'all ready for President Joe Biden in 2020 ? I'm just thankful that unlike 2016, there are more than just two candidates in the Democratic party to choose from. But, heh, I see where some people are already jumping on the bandwagon, as with Trump, to proclaim that Kamala Harris was chosen by God Himself. I still foresee her becoming the nominee - she almost seems to be to the Democratic party for 2020 what Hillary Clinton was in 2016. I really don't think Kamala will win. 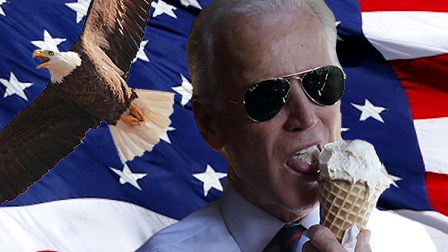 I really think Joe Biden is the guy to win but hey I could be totally wrong. But in all honesty Joe deserves to be the nominee because he is the only candidate in my opinion who can defeat trump and not divide the country more. Plus I believe he's considering having stacey abrams as his vp pick. I honestly have never heard of him before, so I really don't know much about him, other than the fact that he's openly gay, and that's why he seems so popular right now (much like how Kamala Harris is so popular because she's an ethnic woman). On an unrelated topic, Biden seems to be dropping in popularity right now because people find him too touchy-feely and that it makes him come off as a creepy old guy.